The WB15 manufactured from 1/4" thick steel and has a beautiful powder coated texture matte black finish. The 2.5" wide collar accepts 1.5" diameter barres. The distance from the wall to the center of the collar is 8". The back mounting plate is 1.5" x 4" tall. The distance from the center of the 4" mounting plate to the top of the collar is 5.5". 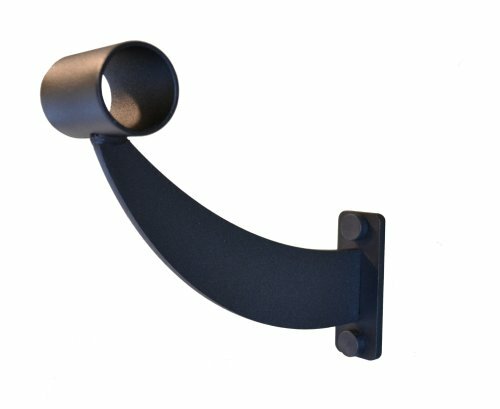 Sold as individual bracket with mounting hardware.